On a warm afternoon in October of 2017, Nicole Dexter and Chip Owen threw a party. A band played mellow folk tunes. People dug into Oktoberfest-themed food, including juicy brats. Dexter and Owen handed out a couple hundred pairs of black-and-white plastic sunglasses. And—this being a brewery and all—there was plenty of beer. Dexter and Owen were celebrating the four-year anniversary of Innovation Brewing, the downtown Sylva business they built from scratch. Guests clutching pint glasses of hoppy beer filled the Jackson County taproom and spilled outside. 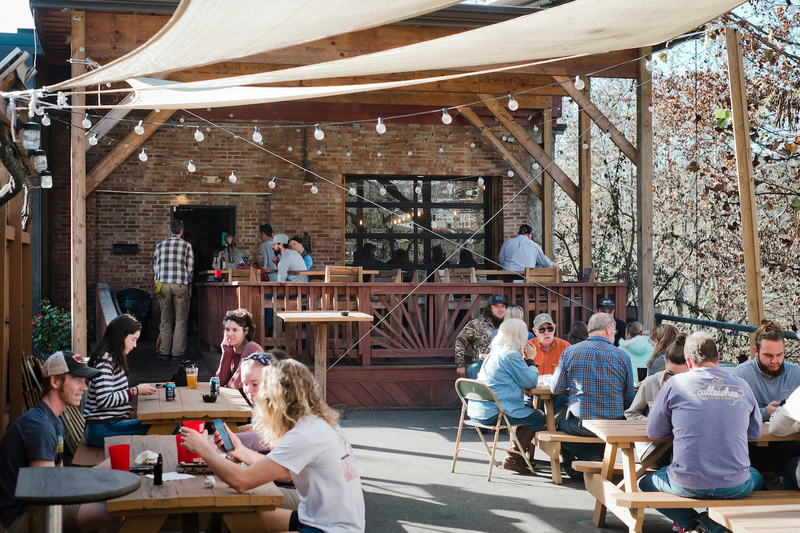 Next door, in the adjoining space previously occupied by another business, Innovation Brewing will expand to offer more room for visitors—and a wood-fired pizza oven to fill their hungry stomachs. Like many small business owners in North Carolina, Dexter and Owen celebrate each milestone because they know how fragile their beginnings were. 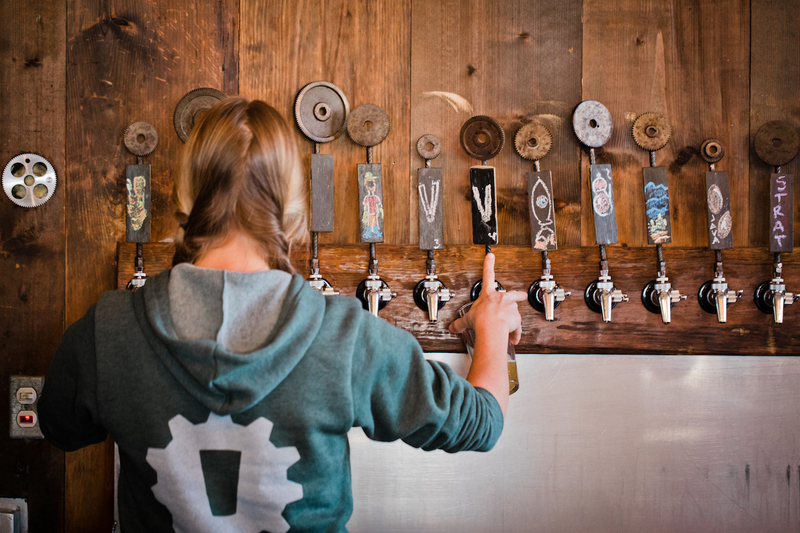 The taproom with rough-hewn wood paneling and a row full of shiny taps wouldn’t exist if not for a partnership between a small community bank and the NC Rural Center, and one couple’s determination to never waver from their dream. Dexter and Owen met years ago through Asheville’s beer scene, fell in love, and started dreaming about opening their own brewery. 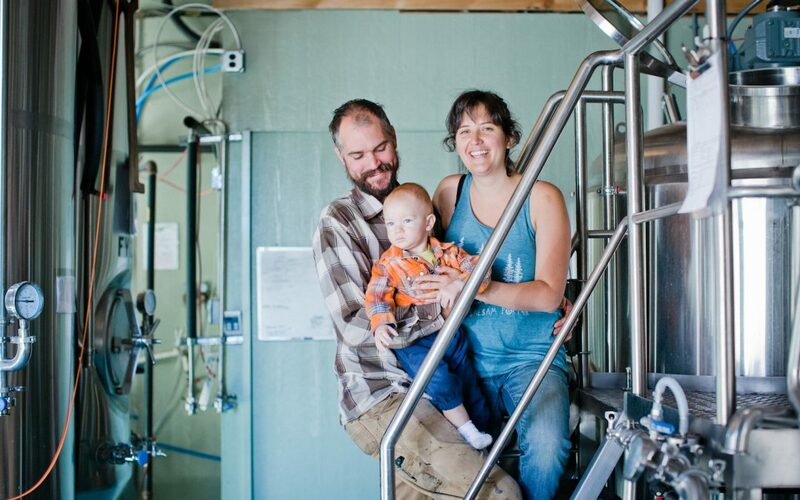 Owen has an engineering degree and loves to tinker with machinery and equipment; Dexter worked in breweries for eight years before starting her own. So when they finally felt ready to open Innovation, in October of 2013, they knew they would have to get creative to find the start-up capital necessary to open their doors. “Nobody would give us a loan,” Dexter recalls. They took out a second mortgage on their home. Owen’s mother did the same. They maxed out their credit cards, took out personal lines of credit from the bank. Entegra thought Innovation was a good candidate for the Loan Participation Program (LPP), a fund created initially by the US Treasury Department through its State’s Small Business Credit Initiative, and managed by the NC Rural Center in all 100 North Carolina counties. It’s designed to increase access to capital for small companies in the state that struggle to find funding. Through LPP, the Rural Center buys participations in loans issued by banks or Community Development Financial Institutions, in effect mitigating some of the risk involved and allowing the lender to make loans that would otherwise be on the margin. The Rural Center has partnered on more than 350 LPP loans with 22 different lenders located throughout the state of North Carolina. The new space—and the efficiencies that came with it—enabled Innovation’s growth. Dexter and Owen brew 1,000 barrels of beer each year. They have 32 different beers; the most popular is Soulvation, a pineapple, papaya, and green tea IPA made with tea from another small business in Sylva. Importantly, Dexter and Owen’s dream has grown to support others: Innovation employs 13 people today. Some of the visitors who filled the taproom for Innovation’s fourth anniversary party on that happy fall Saturday didn’t know Innovation’s full story. Sure, they might have known this was a family business, that the owners poured everything they had into it. But they didn’t know about the early days, how the couple scraped together money to brew those early batches of beer. They didn’t know about the anxious moments waiting for the loan to be approved. 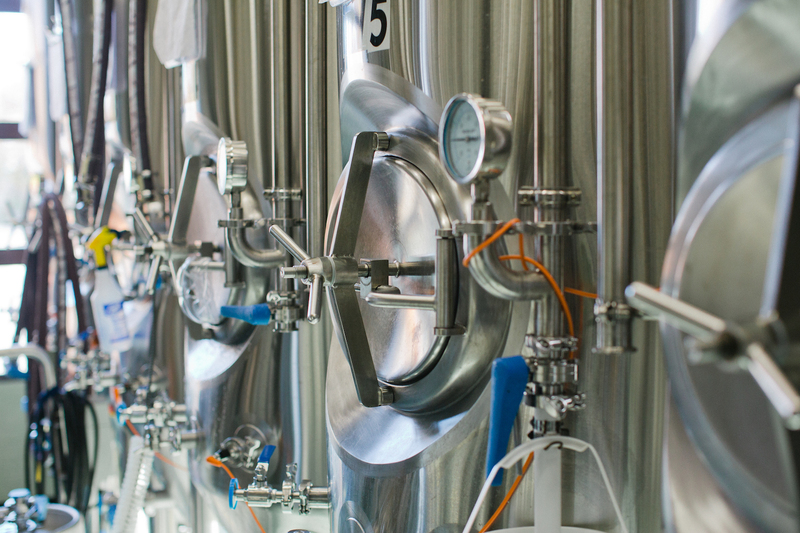 They didn’t know about an innovative partnership that made financing a brewery expansion possible. All they knew is what they could see and hear and taste. Crisp lagers and malty ales. Smiling faces, foot-tapping music from the folk band, those plastic sunglasses with the Innovation Brewing logo on the frames. Happiness all around.